SOLD Nature Art woodland herbs wildflowers watercolor original painting illustrations mixed with inspirational words to lift your spirit. 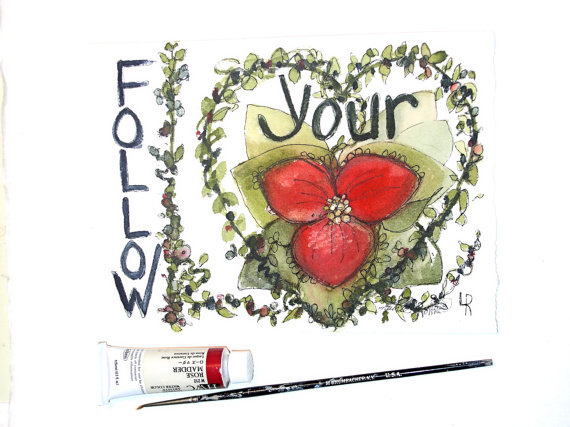 Watercolor painting illustration of woodland flowers and vines with a saying ' Follow Your Heart' (the heart is the image made with entwined vine and red trillium flower) is an original natural history artwork by Laurie Rohner. 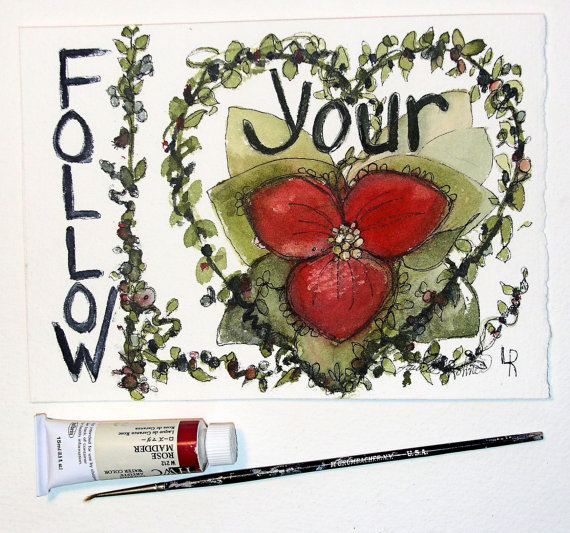 I am doing a new series of watercolor renderings with inspiring words and sayings sharing my hope and possibility for a great life. 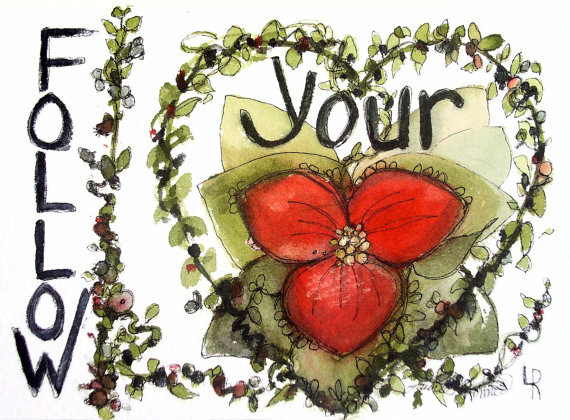 All my art including this artwork are original miniature watercolors suitable for framing, enjoy them in your home or send as a unique gift to that special someone.